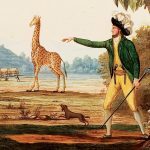 Read an excerpt from The First Safari: Searching for François Levaillant by Ian Glenn, out now from Jacana Media! Jacana Media and the Lycée Français du Cap invite you to the book launch of The First Safari: Searching for François Levaillant by Ian Glenn. 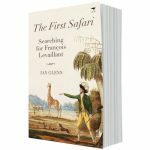 The First Safari: Searching for François Levaillant by Ian Glenn, out now from Jacana Media!